Move over, Master Chief. Take a seat, Mario. Those crazy birds rule the digital roost. Just a couple of years ago, the idea that a mobile game could become the most talked about event in gaming history seemed preposterous, and probably still does to a lot of people. That said, Rovio's Angry Birds 2 could become the single biggest launch the world has ever seen by the sheer number of downloads. Yes, we know that's a bit presumptuous, especially because the developer has yet to fully reveal the highly anticipated sequel, but there's no use denying its existence. With toys, baby gear and even shoes on the way, Angry Birds 2 is far from being speculation. It's a guarantee. When it comes, expect pandemonium the likes of which the video game community has never seen, and not just in the U.S. and Europe. 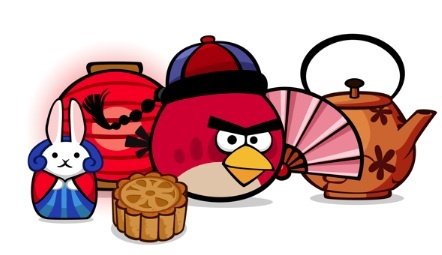 Turns out, Rovio boldly went where few gaming companies have gone before, China. Even China loves Angry Birds. In a surprise twist, the Chinese love Angry Birds. Rovio expects 100 million downloads by the end of the year (in large part because of a special Moon Festival episode), and currently believes it has the third most popular brand behind Disney and Hello Kitty. Note we said Hello Kitty, and not Mario, the world's most popular video game mascot. Nintendo's plumber recently celebrated his 25th anniversary and the more than 210 million games he's managed to sell in that period. By contrast, Angry Birds has achieved more than 300 million downloads across all available platforms since it first debuted in December 2009. Granted, the dollars and cents don't match up. It's tough comparing full priced retail games to a downloadable one that sells for $0.99. At the same time, Angry Birds has gone global. To that end, the world hasn't seen something this big since Halo, and even then, Microsoft's first person shooting series is only popular in select territories. Naturally, we must consider different factors that contributed to Angry Birds success, including free demos. Taking into account Rovio's incredible success, though, points to something huge, a launch that could eclipse everything that's come before it, once the company digs its teeth (or beak, rather) into China and other countries. When that happens, expect Angry Birds 2 to change everything the experts know about video games for years to come. Video Game Villains: What If They Used Their Powers For Good?